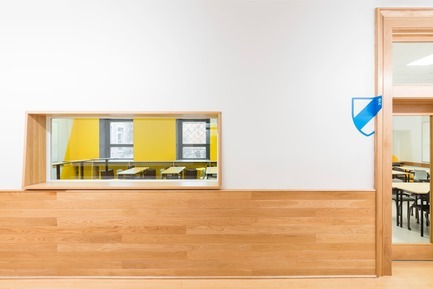 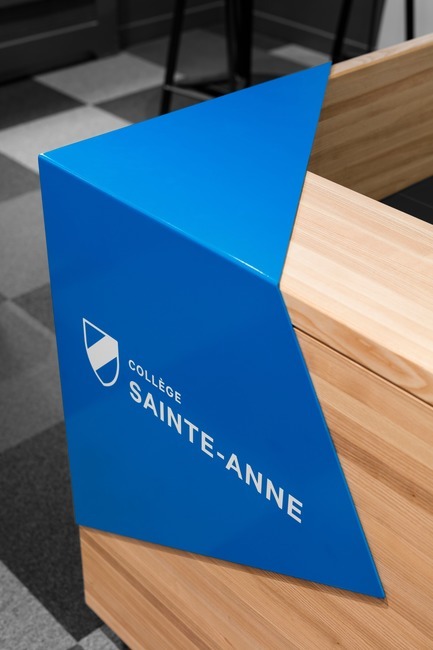 Long-time partners and sharing the same vision of education and innovation in the academic environment, Collège Sainte-Anne and Taktik design are once again teaming up to rethink the entire layout of the College’s main floor. 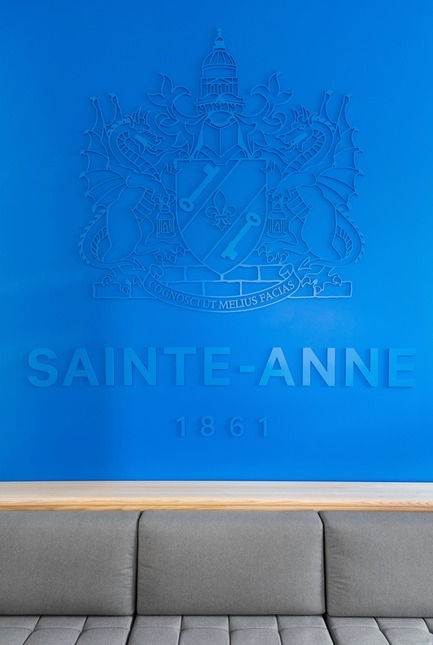 The project’s challenge: create an innovative and dynamic place that encourages spontaneous encounters while also integrating the history of the institution founded in 1861 by the Sainte-Anne Sisters in Lachine. 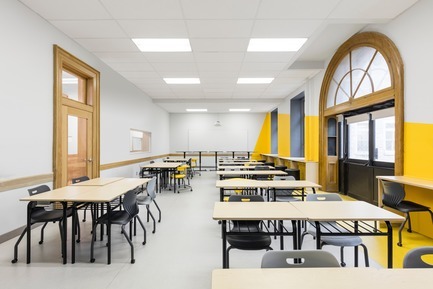 The redevelopment of the 2nd floor of the Collège Sainte-Anne initiated renovation works on all floors. 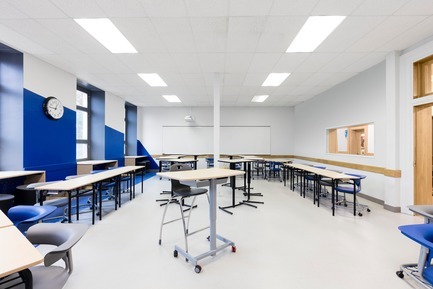 Being the busiest floor of the College, it is much more than a mere place of passage. 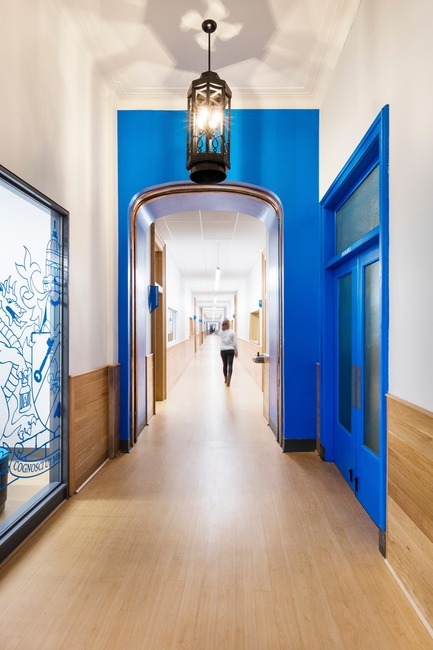 Including the main entrance, the high school management offices and the classrooms, it was essential to adapt the premises to today’s educational vision while highlighting the building’s heritage details. 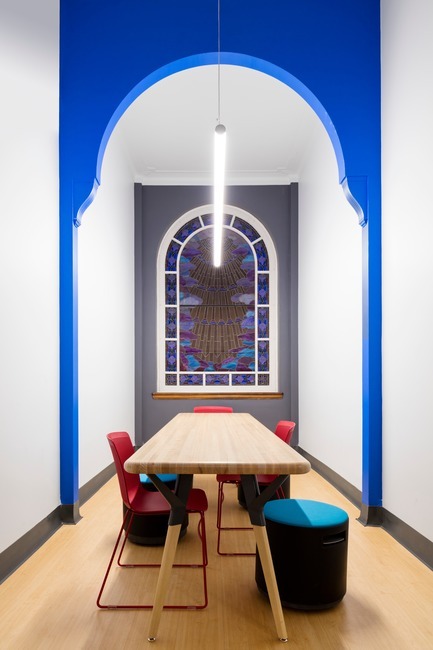 All oak woodwork has been restored, giving a second life to the architecture of the past. 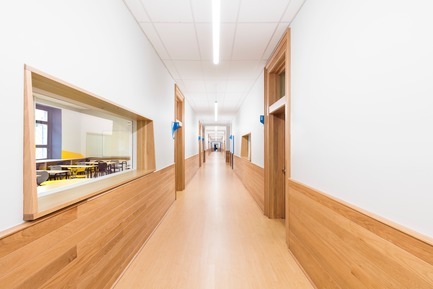 Corridors and classrooms have undergone several improvements, including the addition of large interior windows to the deep ledges that provide students with a working space within the corridors, while providing plenty of natural light in the hallway that was previously absent. 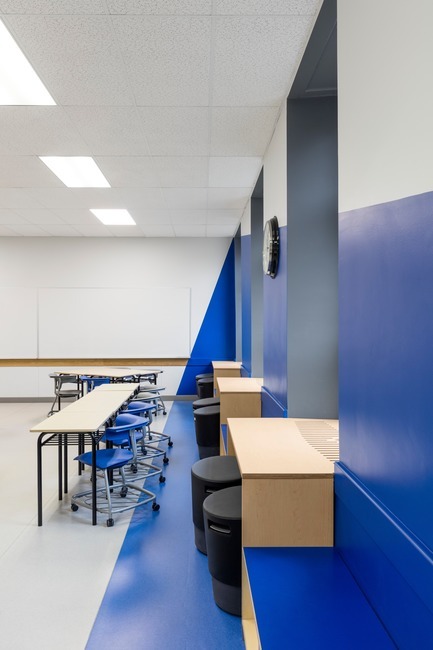 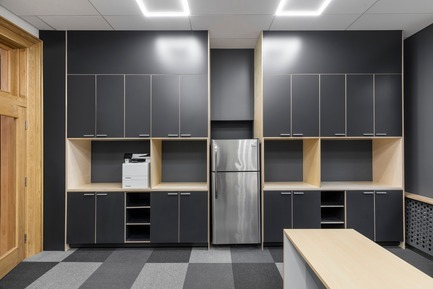 Small and underused rooms have been transformed into colourful workrooms for collaborative work that allows students to continue their work and discussions outside of the classrooms. 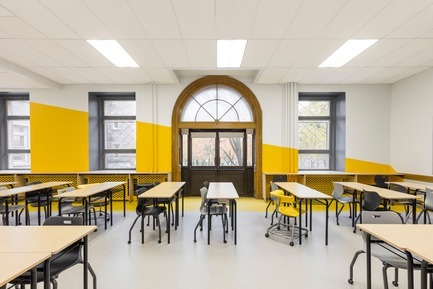 Classes were revitalized thanks to different bright colours and with the addition of movable and height-adjustable furniture. 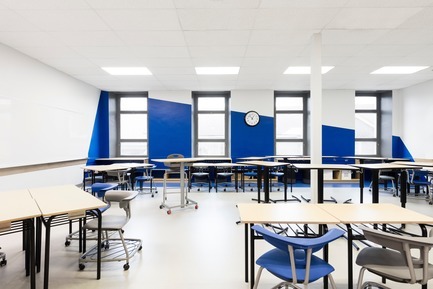 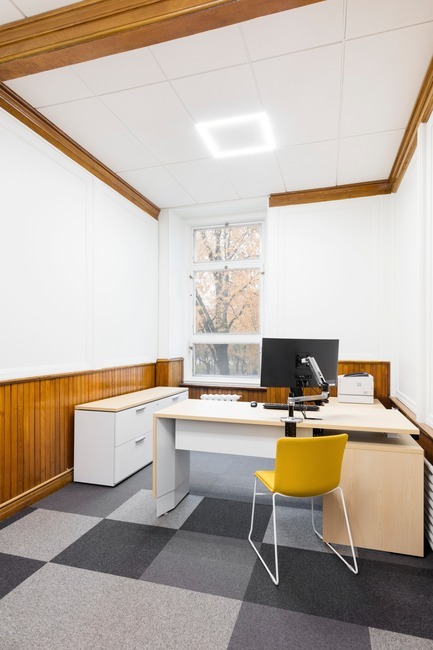 The furniture has been specially designed to be adapted to the different learning behaviours of the students, allowing them to work standing up or sitting down. 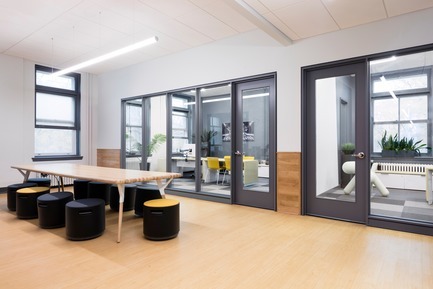 Concerned with the traceability and the development of the materials, Taktik design recommended the use of solid wood coming from Quebec and strived not to denature the beauty of the raw material. 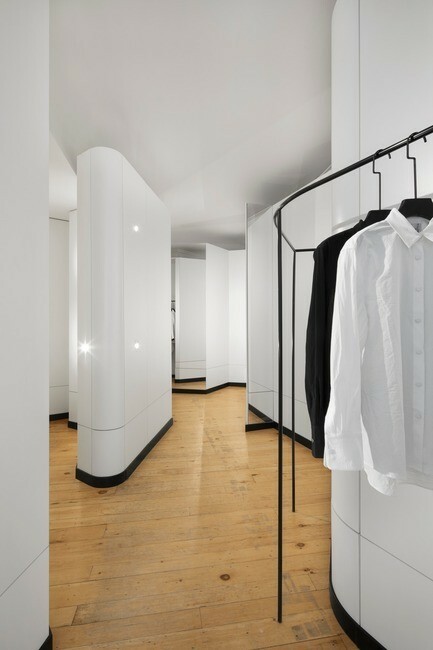 The goal is to respond to the expected functions, by putting structural materials in the spotlight, with maximum added value and minimum of transformation work. 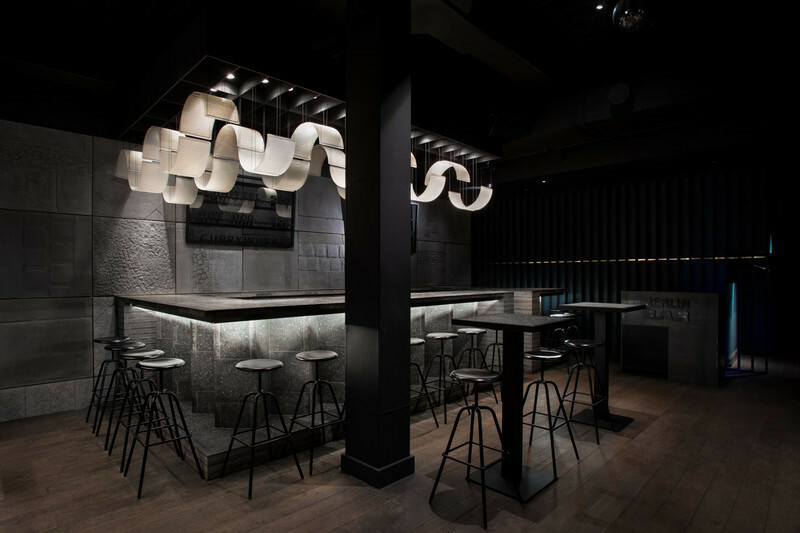 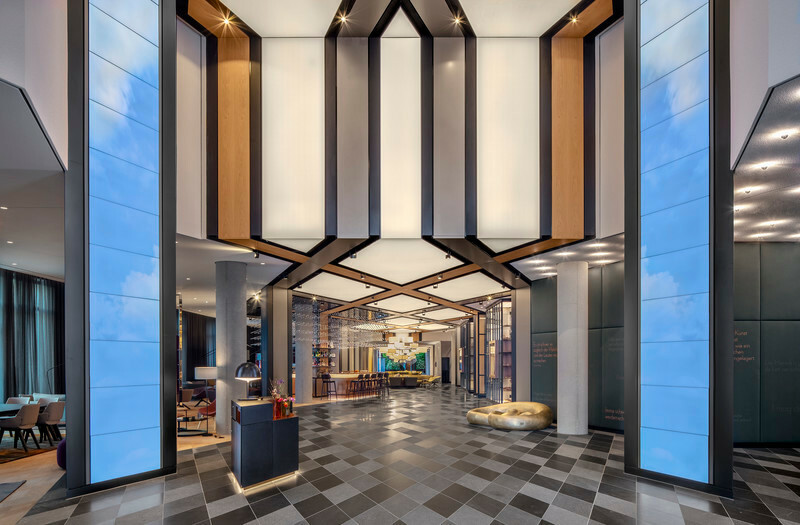 The graphic design of the 2nd floor remains in line with the other spaces renovated by Taktik design over the years. 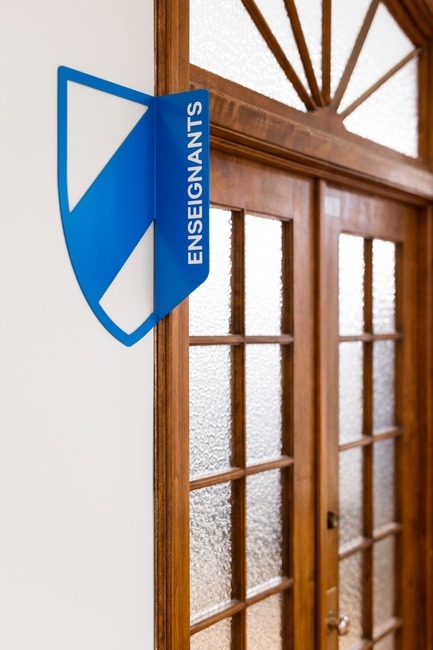 Specially developed during the redevelopment of the Headquarters (Administrative Wing) in 2016, it helps strengthen the institutional identity, stimulate the feeling of belonging, optimize the visitor experience and direct the students and the staff daily. 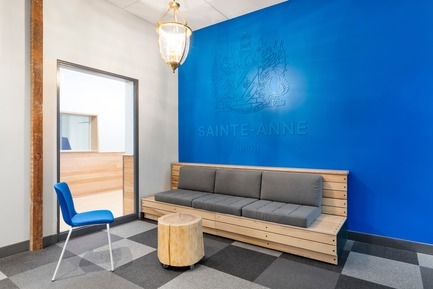 The entire floor is now cohesive with the energetic and evolving vision of Collège Sainte-Anne! 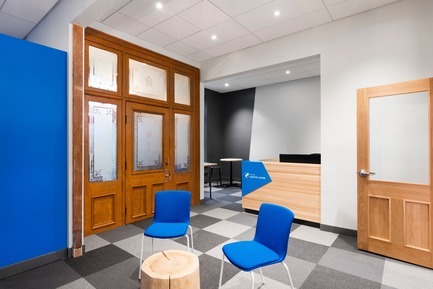 Taktik design is a Montreal-based company close to people and attentive to its customers and their needs. 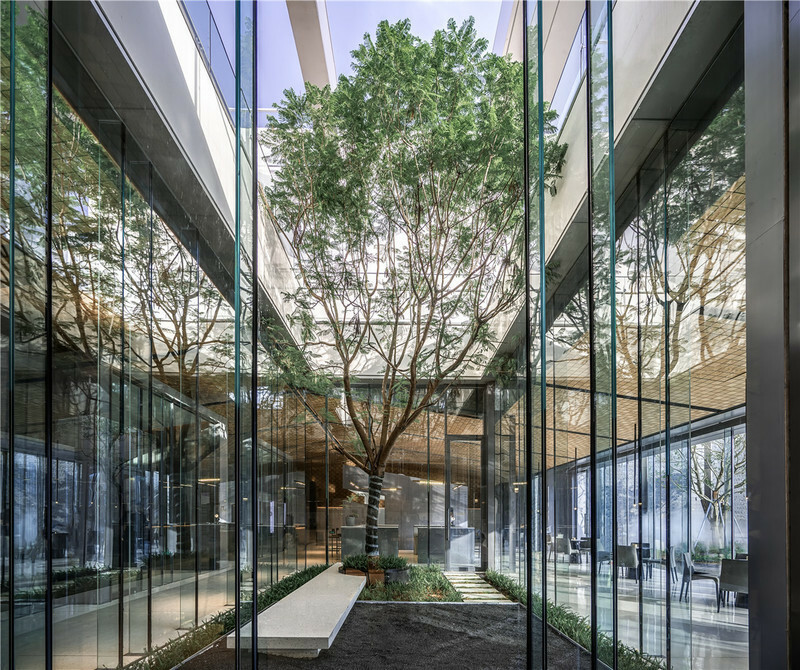 The understanding of places and their functionalities is at the heart of their approach and their concepts. 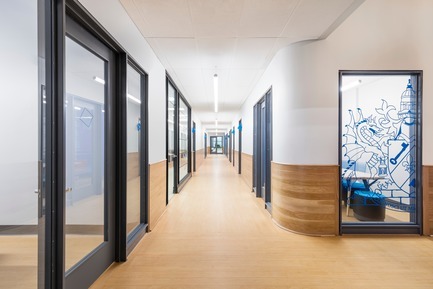 Composed of a creative and passionate team, Taktik design constantly innovates to improve the use of spaces and to create unique worlds. 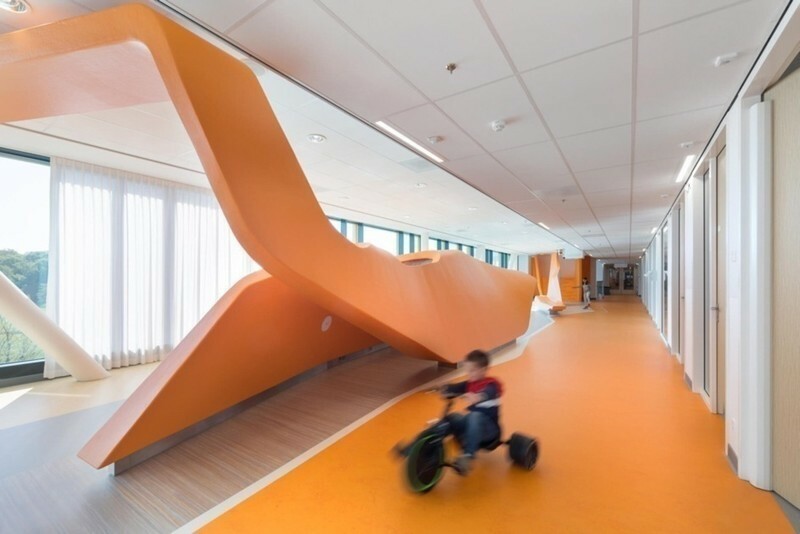 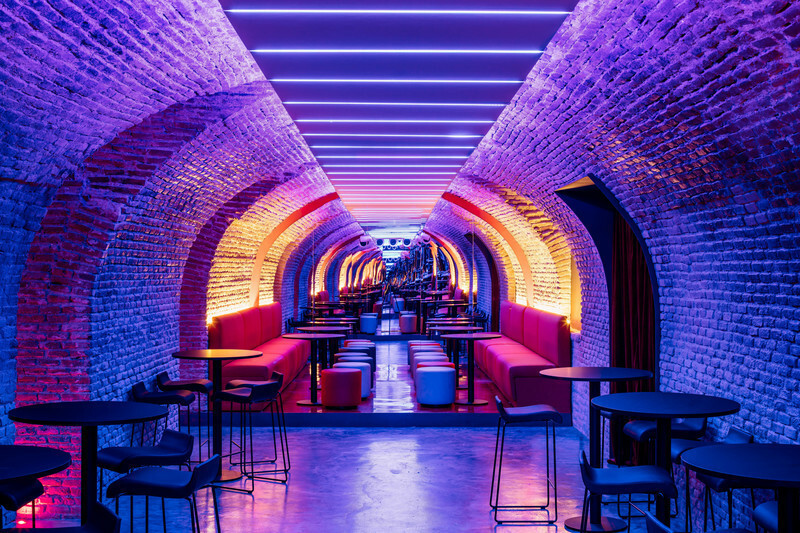 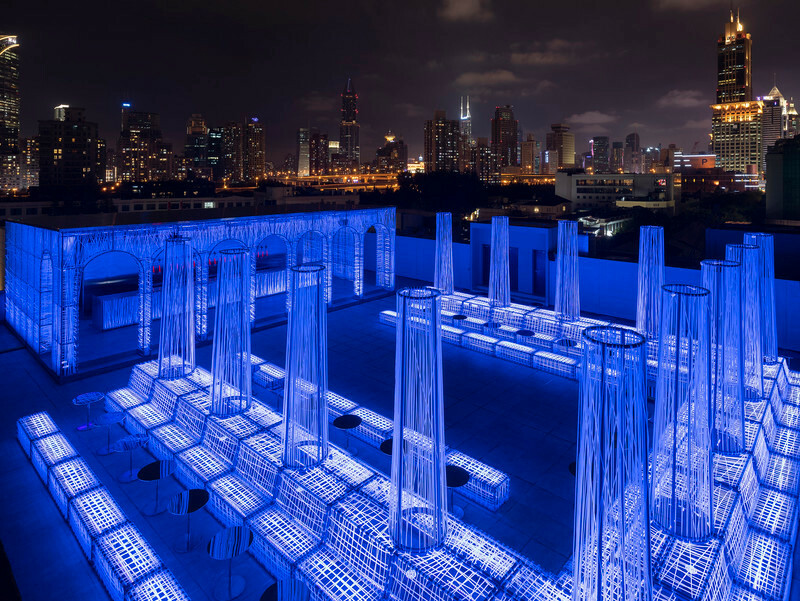 "For us, a successful space cannot be summed up only in its aesthetics, but also in its ability to create a link between its users and the created environment."